While no pictures or videos of the wedding rituals have made it to social media, the bride and groom shared clips and photos from their mehendi ceremony. Priyanka Chopra and Nick Jonas are now officially married. Just as Deepika Padukone and Ranveer Singh's wedding ceremonies were concluding, the desi girl tied the knot with her singer partner at Umaid Bhawan Palace in Jodhpur. 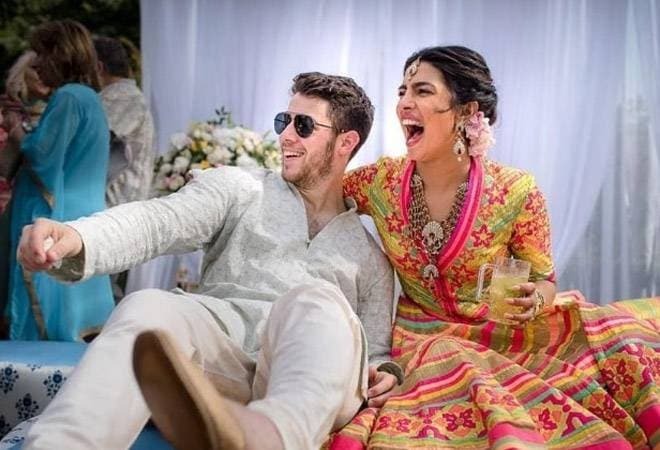 Priyanka and Nick got married in a traditional Christian wedding on December 1, followed by Hindu rituals the following day. 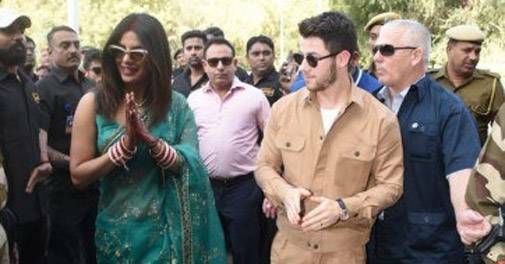 The Christian ceremony was officiated by Nick Jonas' father, Paul Kevin Jonas Sr.
Paparazzi clicked the newlyweds as they left Jodhpur after wrapping up the celebrations. While no pictures or videos of the wedding rituals have made it to social media, the bride and groom shared clips and photos from their mehendi ceremony. "One of the most special things that our relationship has given us is a merging of families who love and respect each other's faiths and cultures. And so planning our wedding with an amalgamation of both was so so amazing. An important part for the girl in an Indian wedding is the Mehendi. Once again we made it our own and it was afternoon that kicked of the celebrations in the way we both dreamed," they both wrote. The couple also shared pictures from their sangeet ceremony which looked nothing short of a Bollywood movie. "It all began as a fierce song & dance competition between the families but ended, as always, as a huge celebration of love," she wrote as she gave out details of that ceremony. While no picture has been shared by the couple, news of Priyanka Chopra wearing a Ralph Lauren creation has been doing the rounds for a while. Ralph Lauren is not known for designing bridal wear as the designer has only created three so far - for his daughter, daughter-in-law and his niece. The couple will host a reception in Mumbai on December 4.